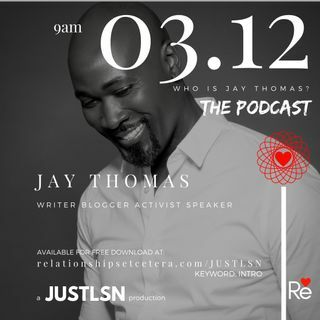 An organic love, dating, and relationships podcast by Relationship Strategist Jay Thomas. Topics include, interracial dating, the myth of monogamy, courtship vs. dating, and healing from a breakup. Focused on bridging the gap, and accountability between men and women... with a strategy like no other, Jay breaks down relationships to their rawest, and purest form for all to understand. *Podcast times are every Monday 6:30 am est (all times are subject to change). Explicit Podcast 01 Who Is Jay Thomas?